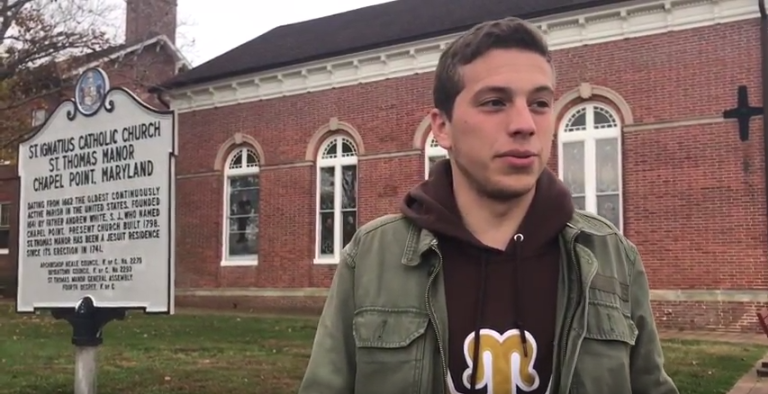 Sebi Medina-Tayac of the Piscataway Nation, speaks on the significance of St Ignatius Church to Native people and Southern Maryland’s history. July 5, 2017 marked the 377 year anniversary of the Baptism of Kittamaquund, the Piscataway “Tayac” by Father Andrew White on July 5, 1640. The events surrounding Kittamaquund’s conversion predate the constitution by a 136 years and is a relatively unknown history, of the oldest continuously operating Parish in the United States (St Ignatius).